any one know anything about Heim BBQ in Fort Worth? I know they've been getting a lot of pub lately. Only open two or three days a week. Haven't been myself but seen some good reviews. Heard great things as well, thinking about going Sunday. He started doing pop ups at his home then got the trailer and took off. Made friends with Franklin and Lewis and learned to cook from them. Can't wait to try their bacon burnt ends. Made it out today, arrived at ten and was about 8th in line. It is in the parking lot of Republic Bar which opens early to serve drinks to those in line. Great atmosphere reminds me of John Mueller's setup but with the benefit of the bar. By the time they opened at 11 the line was wrapped around the building and were already warning some items would be sold out to those getting in line. Ordered a little of everything. Brisket is some the best in DFW, even the lean was moist! 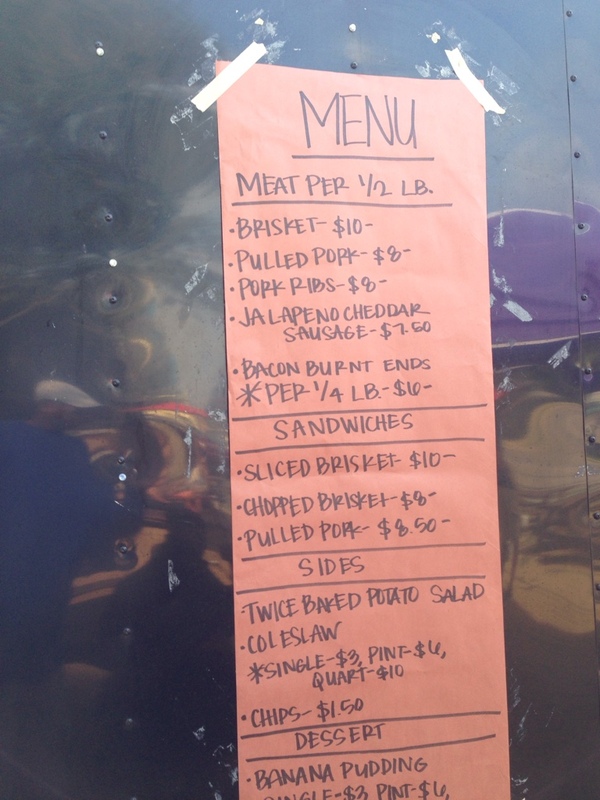 Ribs fantastic as well, pulled pork was average and the jalapeño sausage is legit. They are known for bacon burnt ends and they were good but not a bbq game changer like some say. It's a must try for those in DFW and anyone traveling 35 thru Fort Worth. I love Pecan Lodge but if I'm gonna wait in a line it will be at Heim! Thanks for the pics, Raider. Man, I couldn't finish that tray. I didn't come close to finishing. Wife and I ate what we could at lunch, I had more at dinner and I still have left overs. 2 weeks ago got there at 11:19 not a long line but was there about 10 minutes when someone up front raised a sign saying if you are behind this sign there may not be any food, so i left. a week ago i thought i was being smart and arrived at 10:00, thought something was weird, didn't see any cars parked on the street. pulled int the parking lot and there was a sign saying no bbq this weekend. didn't try yesterday. Yeah I was going to go too but they posted on their social media sites they were closed to work in a new smoker to increase production. They now have a new restaurant where you can sit down for a meal. I went to their trailer, but now it is much nicer. I think they took on a partner or something. Anyway, I had the fatty brisket which turned out to be thickly sliced point, burnt ends, and some of their jalapeno sausage. The brisket was beyond tender and true beef taste. All meats are served without sauce as they should be, but a couple different house made sauces available. Their sides were excellent as well. I had the beans, and mac and cheese. I had seen the lines at the trailer so I went about 45 min prior to opening and was the first in line. Met a couple buddies there from OK and GA so got their opinion as well. Totally worth the trip. Excellent food, the owners were real nice, and they did warn of running out. By the time our meal was over there were probably 30-40 people in line to get in. It is on my rotation to go back for sure. Heres a link to their new restaurant.